We Singaporeans are always on the lookout for the best deals. And when it comes to alcohol, the exorbitant prices might make us more stressed than relaxed even after a night of drinking. 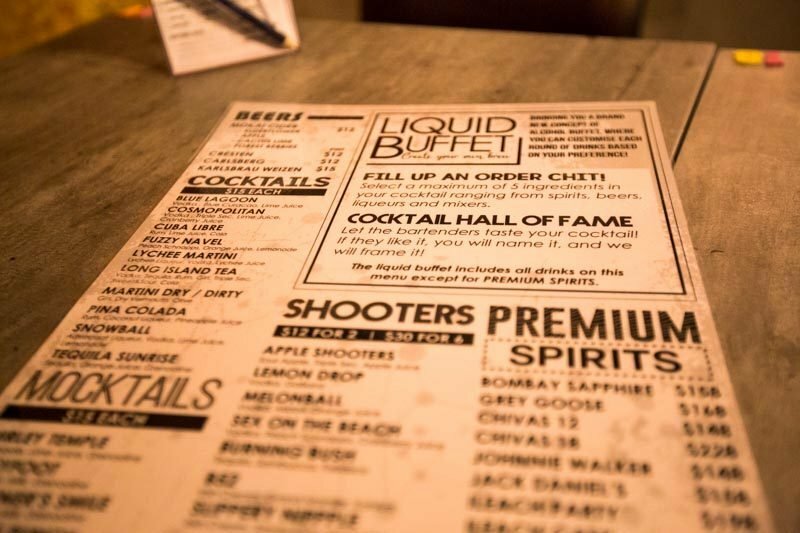 Liquid buffets are where we can get the most bang for our buck, but even then, it’s always the same ol’ drinks. Here at Secret Lab’s Cocktail Buffet, however, the mediocre liquid buffet gets an exciting new twist. 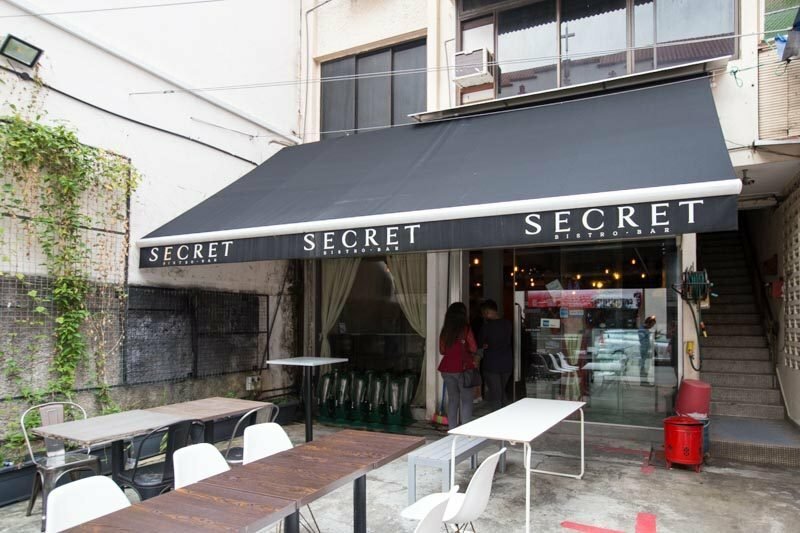 Tucked away along the corner of Dickson Road, this spot has a storefront that’s largely unassuming. Passers-by can be forgiven for overlooking the black awnings. 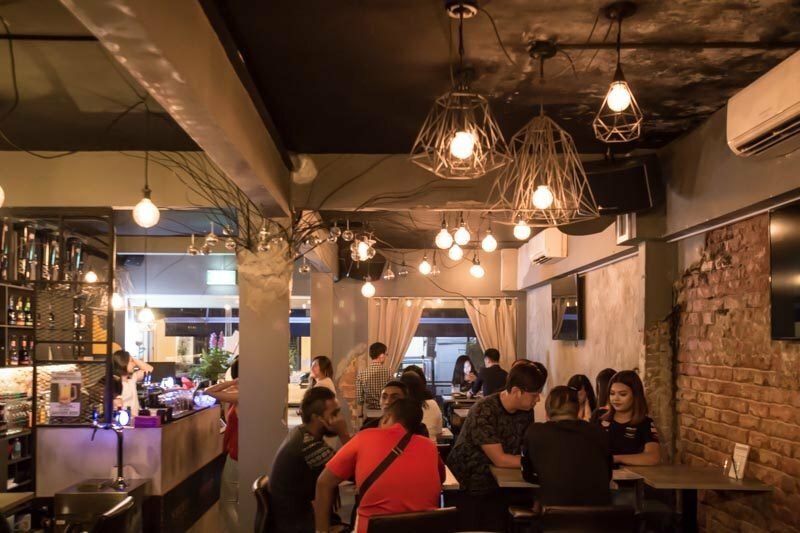 But step inside, and you’re greeted with cosy, dim lighting, and plenty of tables to choose from. Although it’s mostly high tables, you can also request for a low table with the couch (subject to availability). So here’s the real highlight of the place: you’ll get to choose the ingredients for your own cocktail. From an order sheet which includes mixers, base spirits and liqueurs, customers get to pick five different ingredients to go into their cocktail. Yes, five. Of course, mixing the drinks are still left to the professionals. 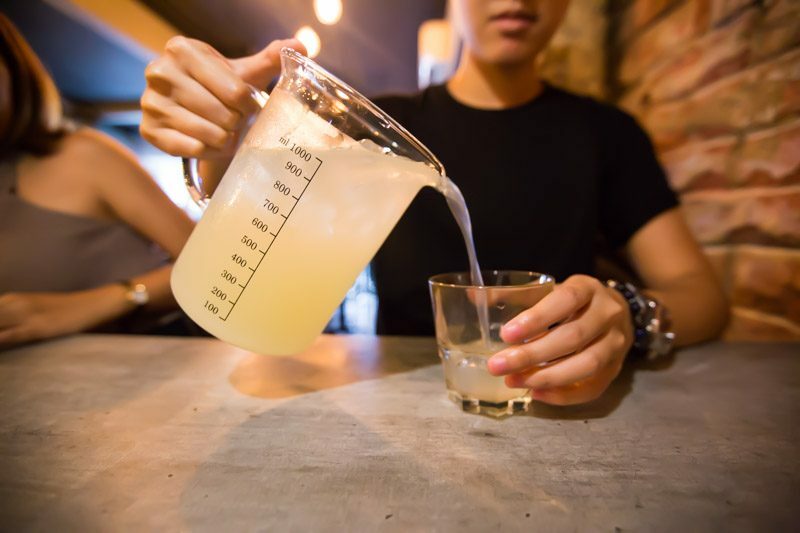 If you’re feeling less adventurous, you can just order a cocktail off the menu. 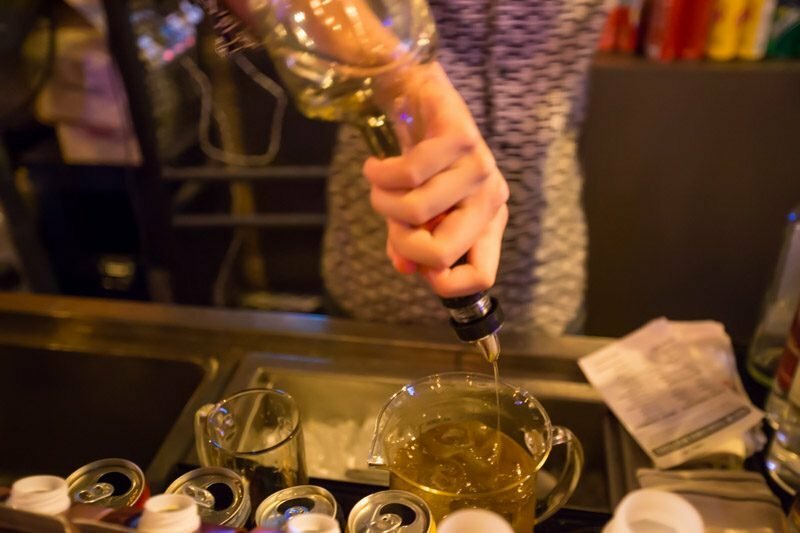 However, depending on when you visit the bar, some of the drinks may not be available. I opted to try choosing the cocktail ingredients on my own. 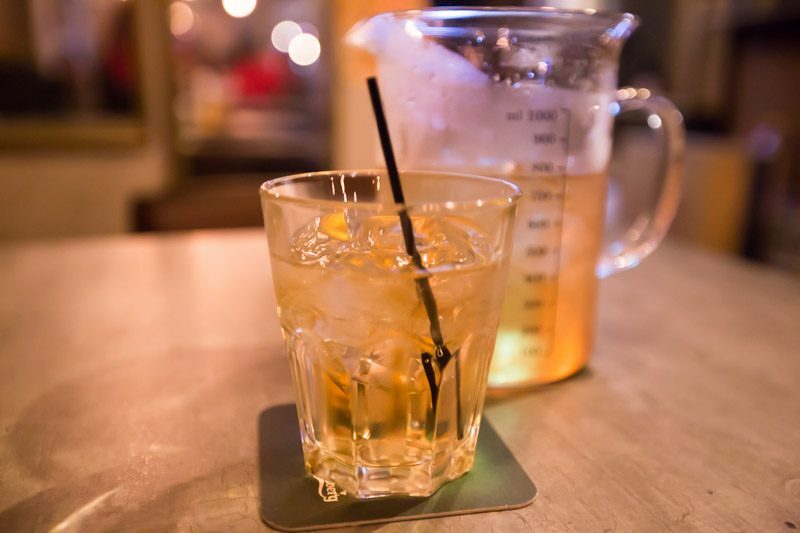 Being a whisky person, I decided on the following five ingredients: bourbon, whisky, ginger ale, butterscotch liqueur and amaretto. 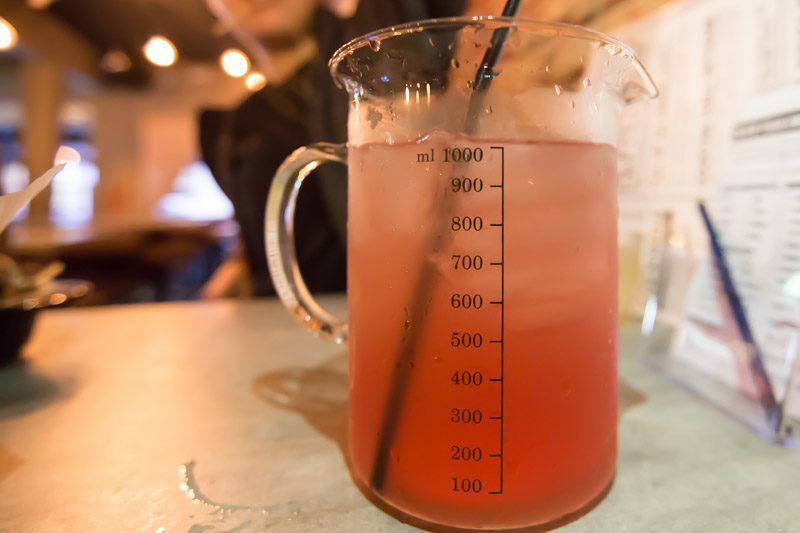 The cocktails are all served in one-litre jugs with volume marked on the side, which not only bestows a ‘mad scientist’ vibe to the drinks but also makes them perfect for sharing. Taste-wise, the concoction reminded me of the butterbeer from Harry Potter films. 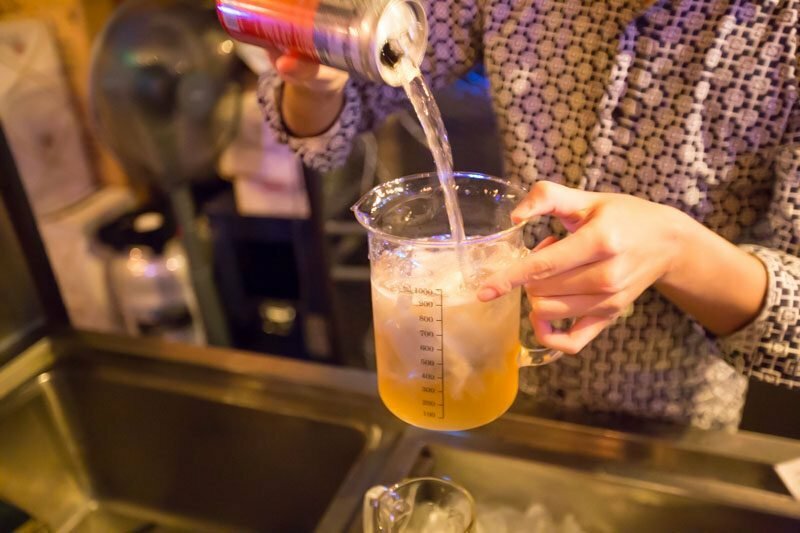 The hazelnut and butterscotch flavours featured strongly in the drink, and it went down really smoothly. I really enjoyed the warmth spreading through my chest after one swallow, but it might not be for everyone. One friend mentioned that it was a really deceptive drink because the sweet hazelnut and butterscotch flavours would prime you for a creamy taste, but all you’d really get is alcohol. I also tried a cocktail with vodka, lime juice and ginger ale. Light and citrusy, this was really easy to drink, which made it all the more dangerous. You won’t know what hit you! You’ll definitely want to experiment more with their cocktails because if you mix one that’s worthy enough, you just might be listed on their hall of fame. Who knows, they might even name the cocktail after you on the menu. 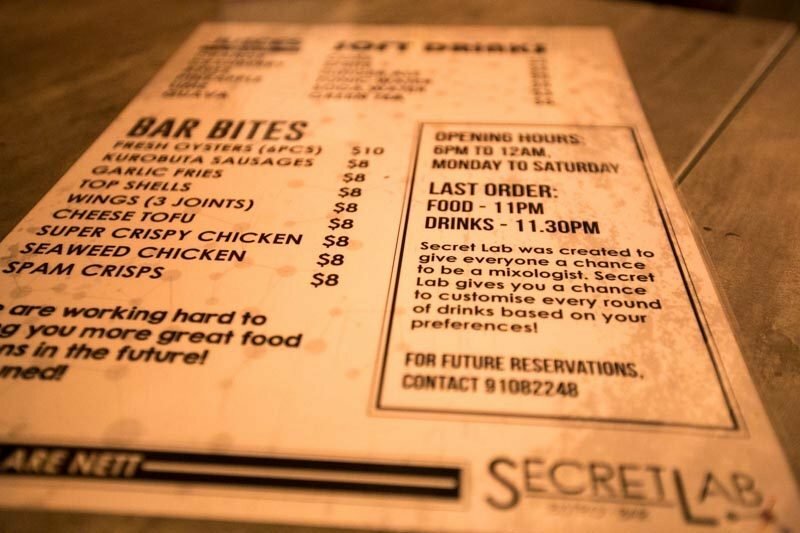 No night out drinking is complete without bar bites, and Secret Lab offers a variety to choose from. 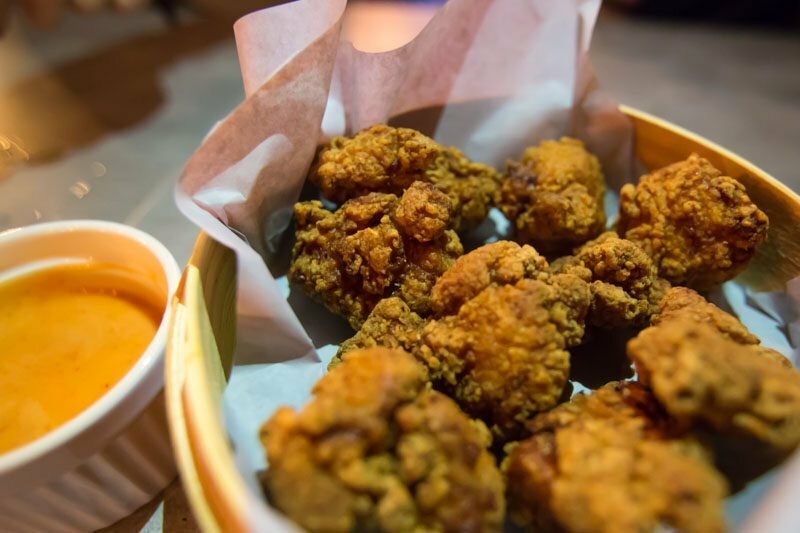 From seafood to fried finger food, there’s something for everyone on their bar bites menu. 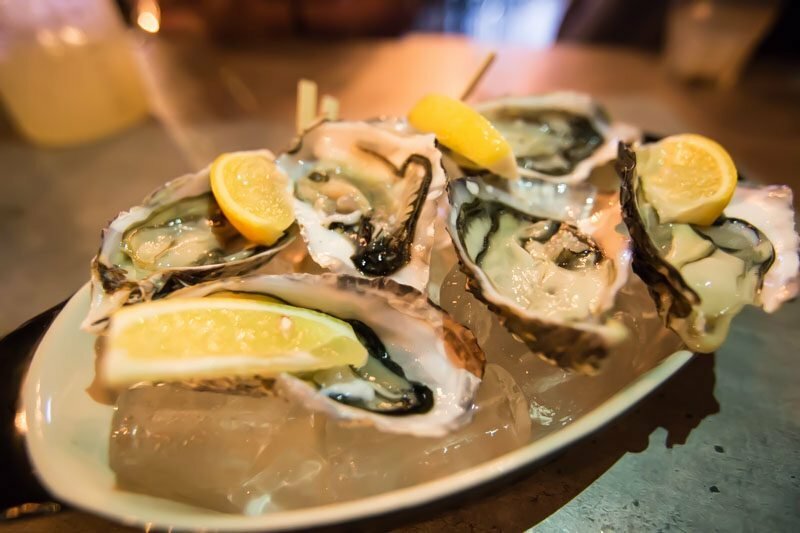 For $10, you get to enjoy a plate of their Fresh Oysters (6pcs). That’s right, it’s six oysters for only $10. Hailing from Switzerland, these oysters are served on a bed of ice with lemon wedges. As much as I love oysters, the briny flavour was just a tad too overwhelming with all that booze. 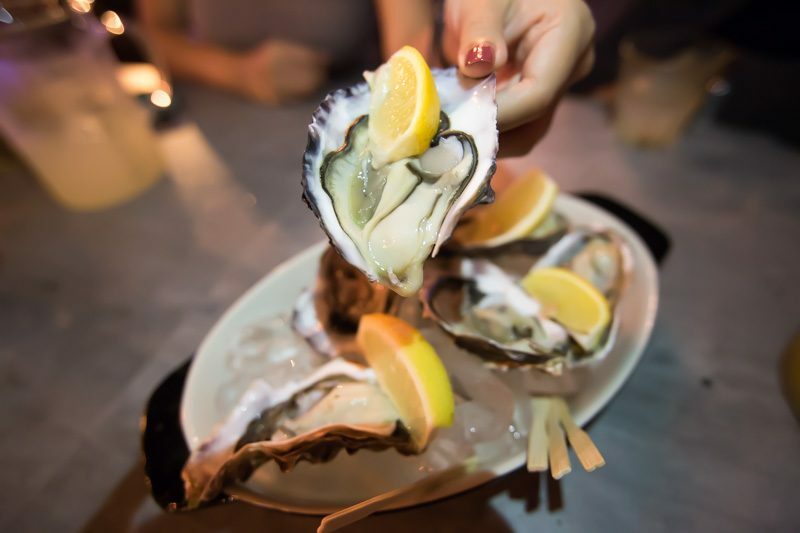 If you’re looking to capitalise on the highly affordable oyster prices, best to start the night off with them instead. Meat lovers, rejoice! The next two items I tried were full of greasy, meaty goodness. The Super Crispy Chicken ($8) lived up to its name. It was really crispy and came with a rich flavour — perfect to munch on as you chug your second jug of the evening. Sweet onion sauce is served on the side, which added an extra kick of flavour. If I had less self-restraint, I would probably have finished the entire basket on my own. I also really enjoyed the Kurobuta Sausages ($8), which came neatly cut up for easy eating. Best enjoyed warm, the sausages left a savoury lingering flavour that had me reaching for more. The crispy skin provided just the right bite, and the juicy sausage flooded my mouth with flavour. But really, the best part of this drinking experience is the free-flow cocktails. 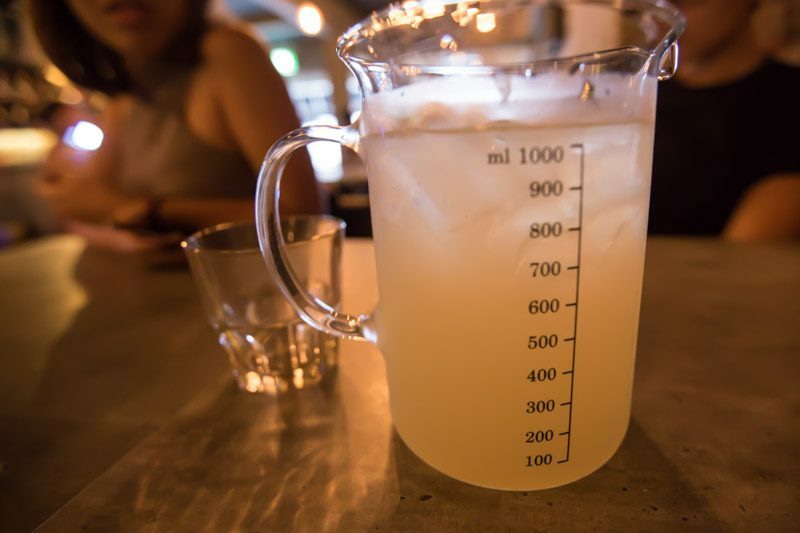 You could quite literally drink ’til you drop. What’s more, there are different promotions for each night of the week. 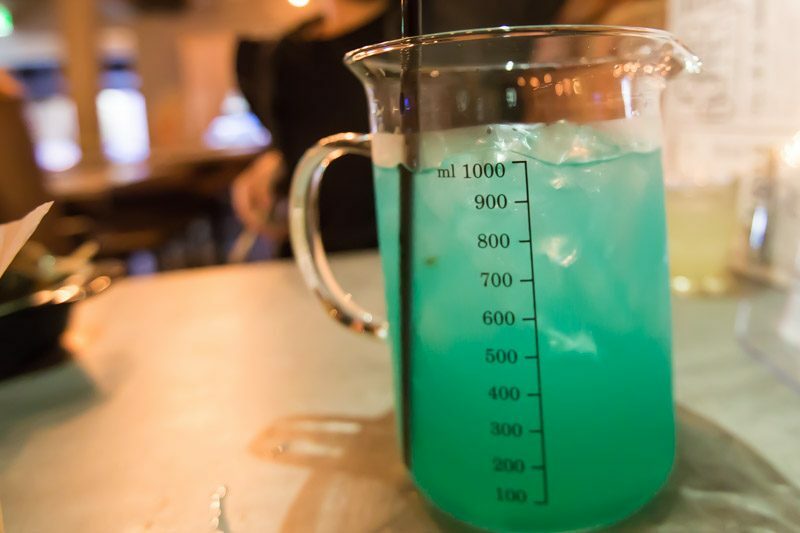 On Mondays, you can drink away your blues at only $22 free-flow for ladies, and $28 for gentlemen. On Thursdays, it’s time for a girls’ night out with the low, low price of $18. Guys, you’ll have to shell out $38. Tuesdays are reserved for the guys because the prices are flipped. 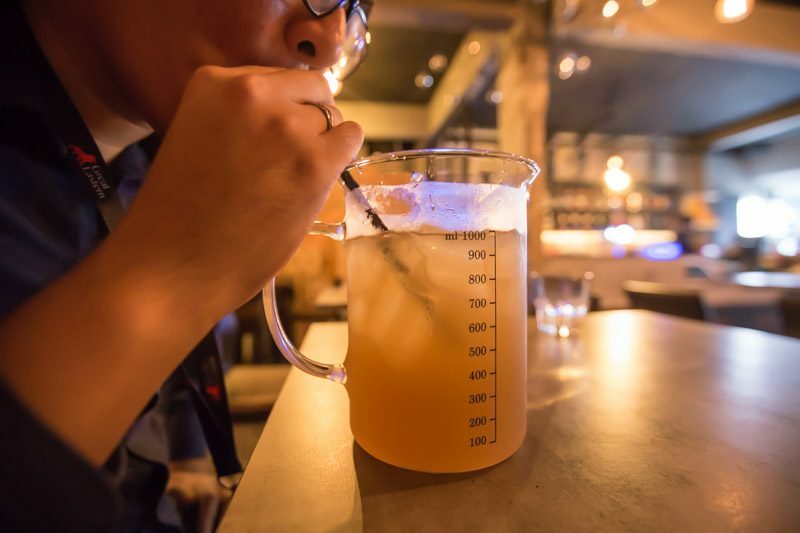 Go on, gather your bros for a well-deserved dudes’ drinks sesh. Wednesdays, Fridays and Saturdays are slightly pricier, with ladies paying $30 and the gentlemen shelling out $38. But wait! 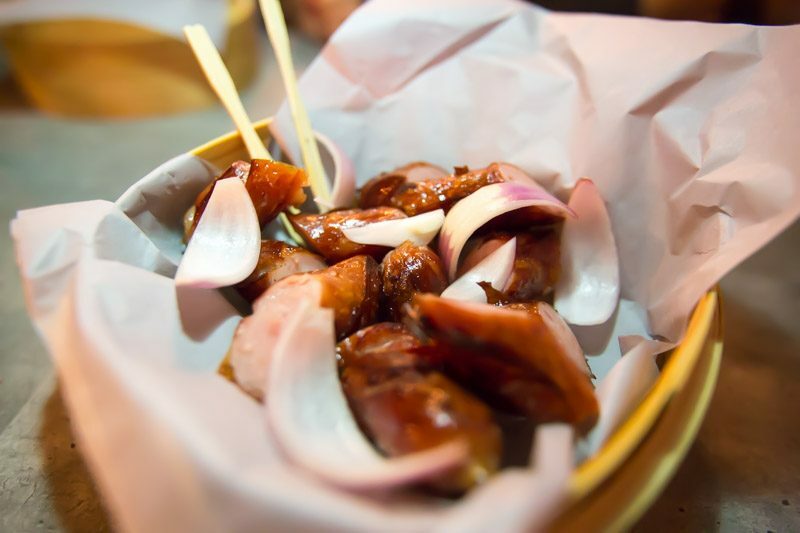 On Wednesdays, you get free-flow finger food too; how’s that for worth it? 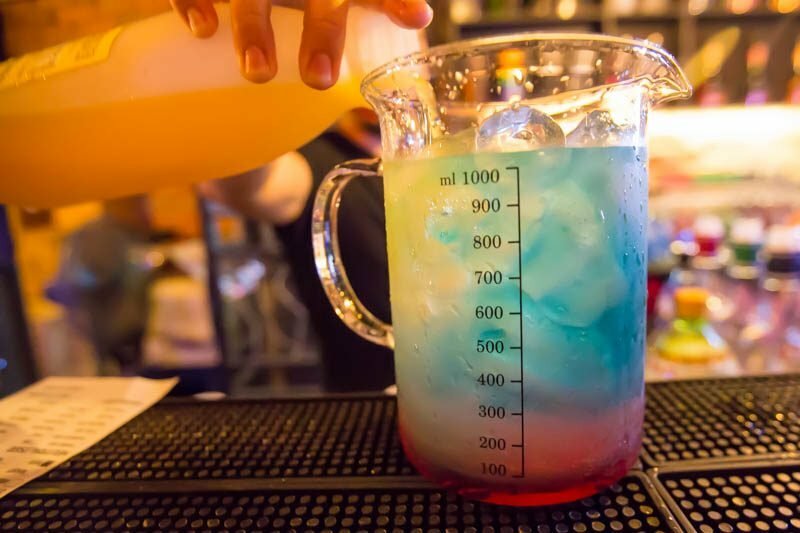 I really enjoyed coming up with crazy concoctions and trying to create the most outrageous cocktails. 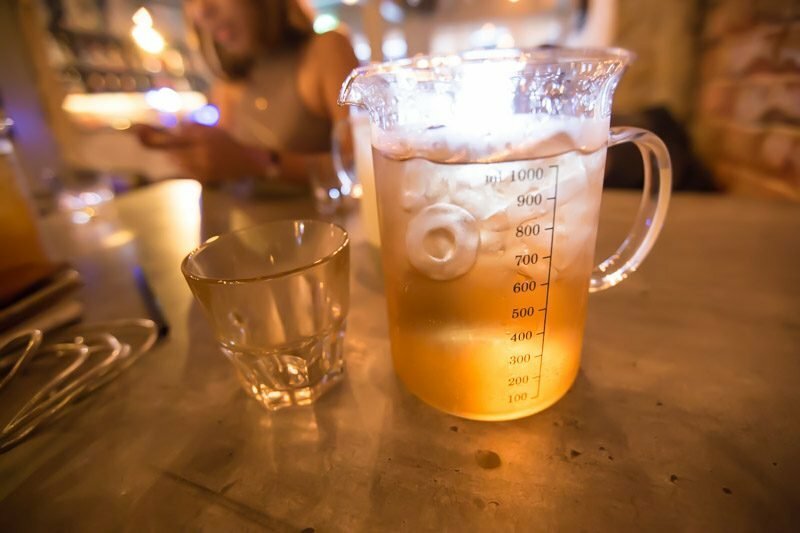 So if you’re headed for a chill but boozy night out with your friends, Secret Lab is the spot to be. Let the booze and creativity flow!